Designed for students and professionals preparing for the ABO certification exam or wishing to quickly brush up on optical formulas, this easy-to-use workbook contains optical formulas, definitions, and walk-through problems with practical examples throughout. Rather than searching through dozens of optics books, readers will find all relevant information here in one source. Coverage includes everything from sine, cosine and tangent to resultant prism and resolving prism to polarized filters - and much more! Features a user-friendly format that facilitates the review process, with practical examples throughout. 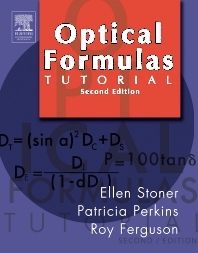 Provides a convenient review of optical formulas and basic math problems. Begins each chapter with a brief discussion of the topic, then proceeds with exercises and examples; answers are provided at the end of the book.